Like to dress up much? Well here’s an occasion where you can do just that: the 90th Academy Awards this Sunday, March 4, 2018, on ABC will be honoring our favorite filmmakers, actors, and movies released in 2017. Yes, you guessed it, Phantom Thread is our favorite pick to win. Unlike the other nominated films, the clothes are a part of the story line, communicating Reynolds’, the main character, point of view. Clothes are used to show how he relates to his craft, life, and the way in which he chooses to interact with Alma, his new object of affection. We love films that take us deep into the designer psyche and show the behind the scenes of the fashion industry. 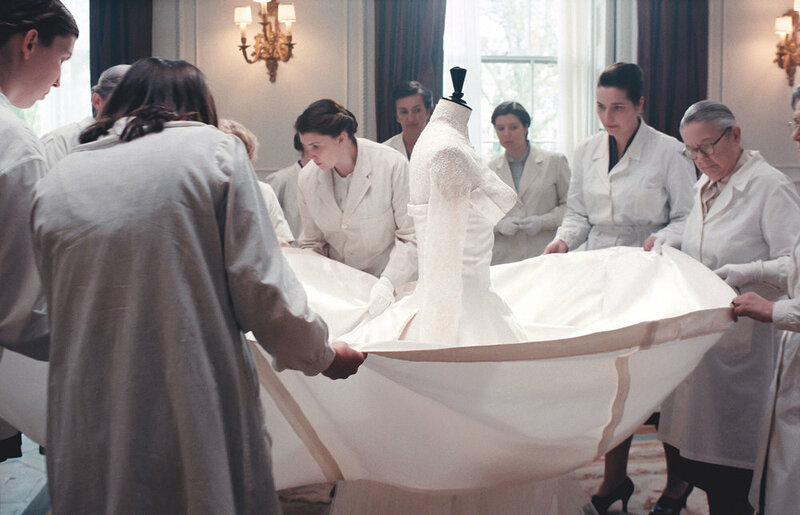 More than 50 original wardrobe pieces were created in less than six months for the film, most of which were handmade including items embellished with authentic 17th century flemish lace. In addition to a nomination for Best Costume Design, Phantom Thread has been nominated for Best Picture (JoAnne Sellar, Paul Thomas Anderson, Megan Ellison and Daniel Lupi), Best Actor (Daniel Day-Lewis), Best Director (Paul Thomas Anderson), Best Supporting Actress (Lesley Manville), and Best Original Score (Jonny Greenwood). How do you like those chances? We’ll be watching, but in the meantime, let us know your fav and why. P.s. And in 2019, we’ll be placing bets that Black Panther has Costume Design in the bag.